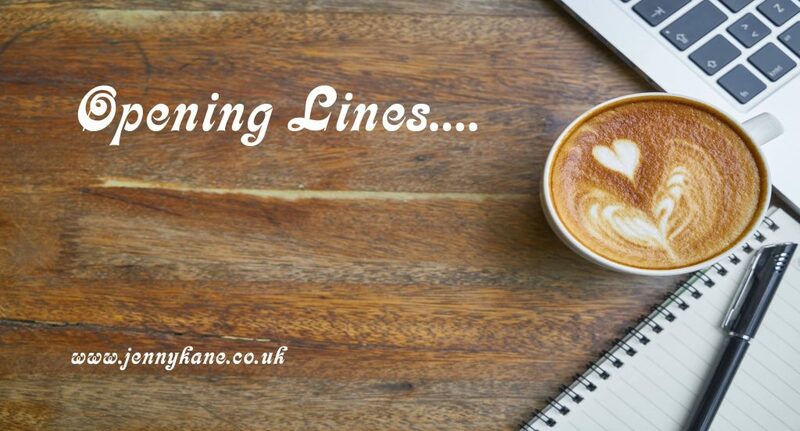 The final opening lines of 2018 is being looked after by suspense writer, Linda Huber. 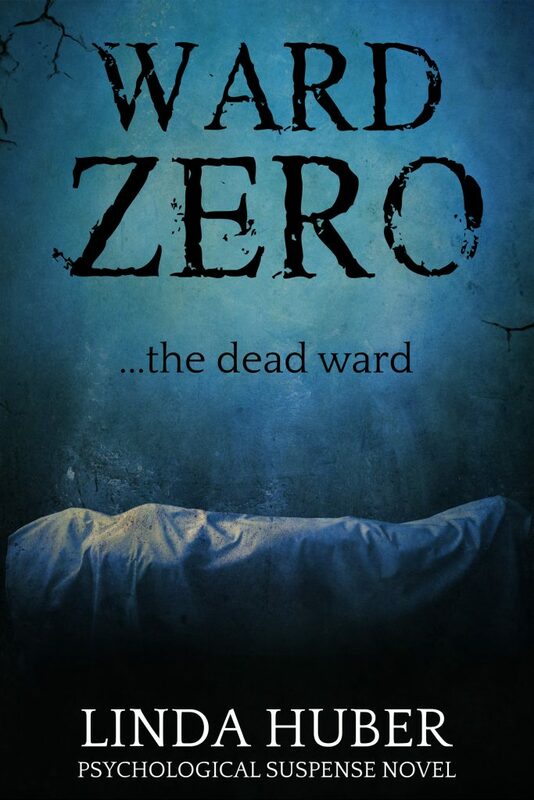 I enjoyed writing this book – as an ex-physiotherapist, I loved the hospital setting, modelling Brockburn General on one of the hospitals I worked in, back in the day. I could almost smell that special hospital odour as Sarah visited foster-mum Mim in orthopaedics, and the fustiness of the cellar as she lay there later on, bound and helpless, was equally present in my nose. Ward Zero brought back a lot of happy memories. The best bit of all, though, was deciding on the cover image. The designer produced a fabulous image of a body, swathed in a white sheet and lying on a trolley. Perfect – but was this Sarah? It looked a bit masculine to me… So we began a hilarious back and forth of cover images, the body having a different bust measurement in each. Eventually, the one the designer christened ‘version supermodel’ was voted winner, and the cover – and the book – went to print. He reached for his glass, fighting to keep the ‘I’m having the greatest time ever’ expression fixed on his face. But her last remark had confirmed it – she knew way too much. And he, idiot that he was, had just made a monumental mistake. Sarah was busy with her fritters; she hadn’t realised the significance of what he’d said. But she would, and the first thing she’d do was tell that bloody policeman. It was a risk he couldn’t take. Time to switch his emotions off. He took a deep breath, forcing himself to smile back. All he had to do was keep her busy thinking about other things, and after dessert he would suggest a quick coffee at home. His home. Once he had her safely locked up he could organise her death in peace and quiet. It shouldn’t be too difficult – he’d already had a practice run. When Sarah was gone too, he’d be safe. If only he’d never gone to the hospital. He hadn’t wanted things to end like this, not for one minute. Sarah stepped into the arrivals hall at Manchester Airport. What a brilliant feeling – back on British soil for her first long break in two years. And she was ready for it. Teaching in Switzerland and travelling round Europe in the holidays had been exhausting, if exciting. And now – where was Mim? A glance round the waiting crowd failed to locate her foster mother’s strawberry-blonde head, and Sarah stood still. She hadn’t spoken to Mim since last week, but they’d texted yesterday. At least… Sarah frowned. She had texted her new flight time and Mim had replied with a smiley, which, when you thought about it, wasn’t typical. Mim had the gift of the gab even when she was texting. A lump came into her throat as she hugged the other woman, feeling the hardness of Rita’s bump against her own body. Lucky Rita. She couldn’t imagine what could have kept Mim away from the airport when the two of them were supposed to be setting off on their long-anticipated tour of Yorkshire that very afternoon. I’m sure you can guess the 501st word! Linda Huber grew up in Glasgow, Scotland, but went to work in Switzerland for a year aged twenty-two, and has lived there ever since. Her day jobs have included working as a physiotherapist in hospitals and schools for handicapped children, and teaching English in a medieval castle. Not to mention several years being a full-time mum to two boys and a rescue dog. Linda’s writing career began in the nineties, and since then she’s had over fifty short stories and articles published, as well as seven psychological suspense novels. 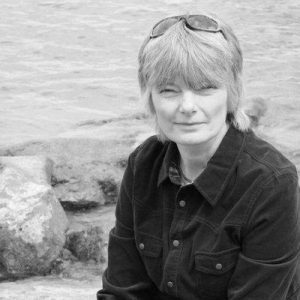 Her books are set in places she knows well – Cornwall (childhood holidays), The Isle of Arran (teenage summers), Yorkshire (visiting family), as well as Bedford and Manchester (visiting friends) and her home town, Glasgow. Her latest project is a series of feel-good novellas written under her pen name, Melinda Huber. After spending large chunks of the current decade moving house, she has now settled in a beautiful flat on the banks of Lake Constance in north-east Switzerland, where she’s working on another suspense novel. Many thanks to Linda for seeing us out of 2018 in style! Thank you, Jenny, and all the best for 2019!